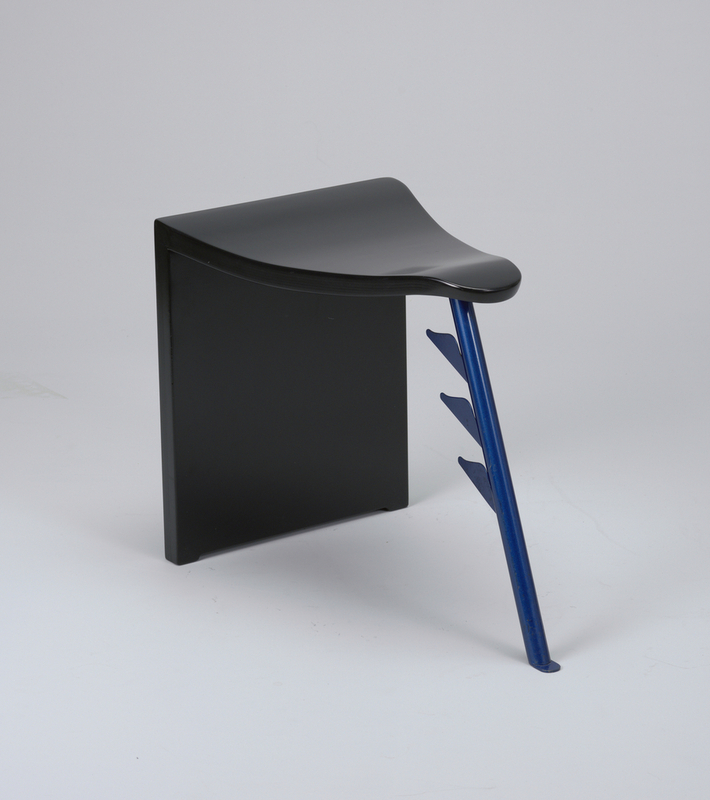 This stool is a prototype made by French designer Patrick Naggar, who trained as an architect at the École des Beaux-Arts and places architecture at the center of his design practice in order to experiment with forms and structures. Naggar also trained in urban studies and his approach to design brings together the functional and symbolic and mixes “noble” and “poor” materials. Catherine Powell is a candidate in the MA History of Design and Curatorial Studies program offered at Parsons School of Design jointly with Cooper Hewitt, Smithsonian Design Museum. She is a fellow in the Product Design and Decorative Arts curatorial department of the Cooper Hewitt.